"Taylor" is our small indulgence. The dog you wash when you don't feel like an hours work! 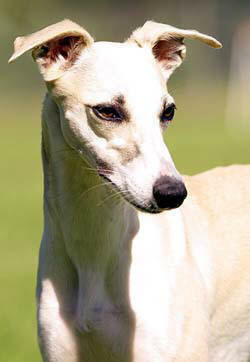 Her temperament is outstanding, she's a border collie in a whippet body. 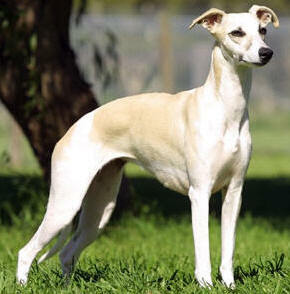 Taylor has made us fall madly in love with the Whippet breed. 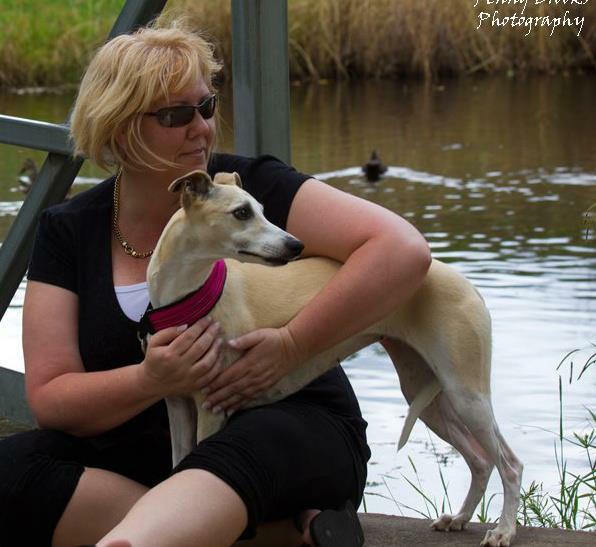 Thank you Pat Adams of Grau Whippets for entrusting her with us. She is holding her own in the show ring considering her handlers are very novice hound owners. Miss Taylor is now a homebody who keeps the Border Collies and humans well and truly in line. I can't imagine a time before this girl was here.